It's no secret we love crafting in our house. While I may be crafty I most certainly am not as earth friendly as I would like to be. 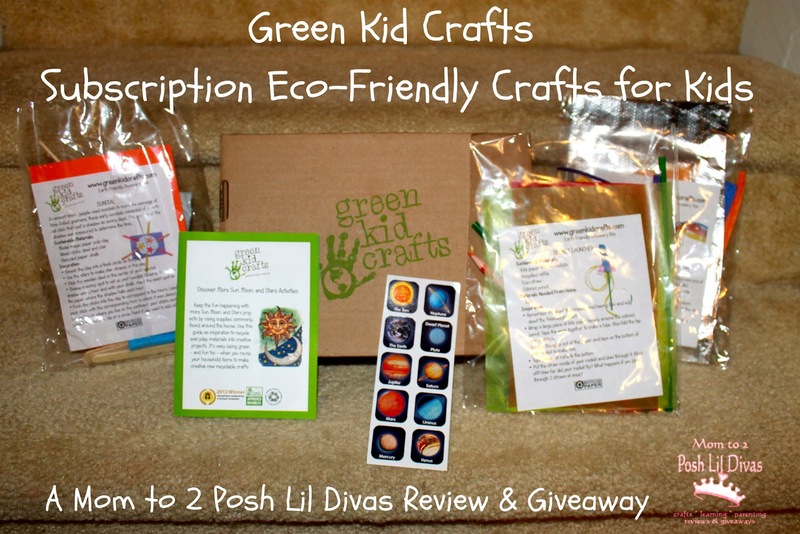 When I was contacted by Green Kid Crafts to review one of their monthly boxes with the Lil Divas I was immediately intrigued. Why? 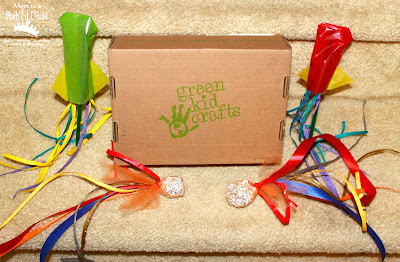 Green Kid Crafts is a monthly subscription based mail craft service for kids that provides eco-friendly craft materials. How can you not like the ease of someone else doing all the planning and prep? Even a hands-on mom like me can use a break every now and then. Green Kid Crafts is a mom-owned green company started in 2010. Their kits use recycled materials whenever they can and use compostable clear packaging. Monthly subscriptions are $19.95 and include everything you need to complete the enclosed crafts (minus the glue, tape and scissors). The projects can include crafts, science activities, imaginative play and more and are geared for kids 2 to 8 years old. We received the box and the girls immediately wanted to know what was inside (they love mail). I opened it up and they were thrilled to see 3 different space themed crafts and fun stickers (a plus!). Of course they wanted to sit right down and begin so that's exactly what we did. Each craft is packaged separately and includes step by step directions but they leave plenty of room for a child's interpretation and creativity. While reading the directions, I was thrilled to see this great reminder - "Remember it's about the process and having fun and not the finished product!" I love that because that is what it's all about isn't it? 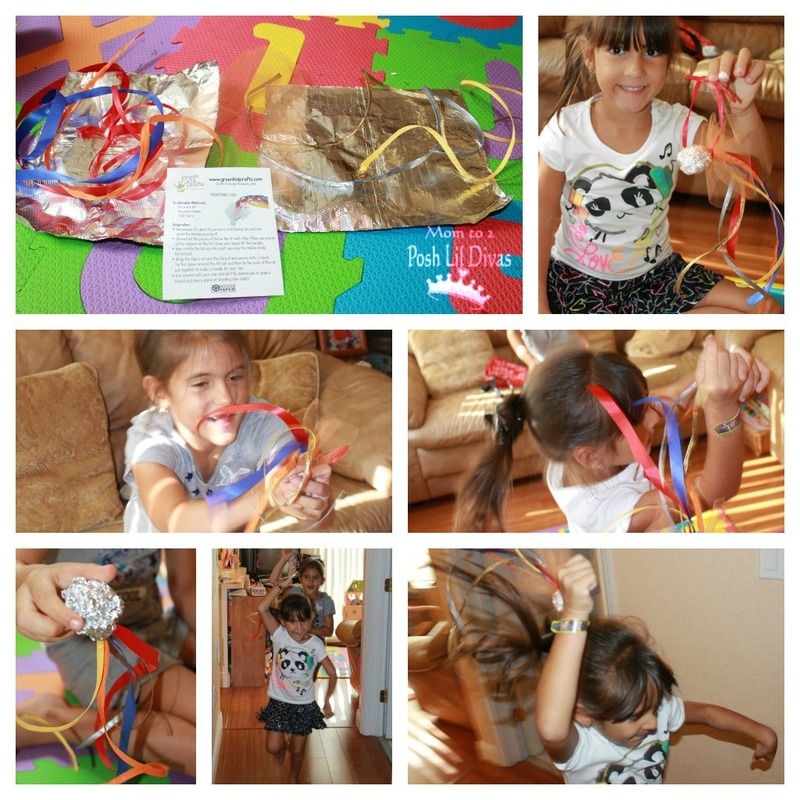 The space themed box came with 3 fun crafts - a sun dial, a rocket launcher and a shooting star. The Lil Divas enjoyed them all but the rocket launcher was definitely a favorite and it has been played with over and over again since we made them. The rocket launchers needed the use of tape and scissors but everything else was in the box and we were able to make 2 launchers. A simple craft with a serious fun factor. It's nice to make something that kids can play with and enjoy when they are done versus always having a finished product that needs to be displayed. It's one of the things I really liked about this particular box. All 3 of the included activities were interactive. The shooting stars are something that can be easily be made with recycled materials at home - I loved that you don't need anything fancy to make them. They were very doable and the Lil Divas were able to make them by themselves. We were easily able to use the provided materials to make 2 shooting stars. Once complete the Lil Divas raced through the house flying their shooting stars overhead and played a few rounds of catch the shooting star. This craft provided us with lots of opportunity for physical activity and fun. I really liked the Green Kid Crafts box we received to review. The crafts doubled as toys, games and learning activities giving us lot of opportunity to play with the finished products. On a frugal note, I really appreciated that I was able to use the 1 box with both girls. There were definitely enough materials provided in this particular box for both girls to complete each craft. I definitely think the box would have been worth $19.95, especially since we ultimately got 6 completed crafts out of it. If you enjoy spending time doing activities with your kids but have trouble coming up with ideas, shopping for materials or are low on time - a Green Kid Crafts subscription would be a wonderful addition to your household. 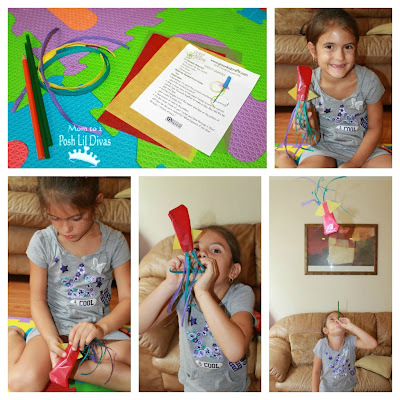 I am super excited to be able to offer a Green Kid Craft 1 month subscription to one of our readers! Disclosure: I received a free month subscription to Green Kid Crafts for the purpose of reviewing the box with my girls for this post. All opinions are 100% mine and are based on our personal experience with this product. Your thoughts and experience may differ. My girls love science related crafts. This will go great with their love of researching science related topics. We have already been talking about space lately. My daughters (ages 3 and 5) would have a great time with this prize. Thanks! This looks great! I'd like to win for preschool sidekick (although I'll have to start calling him something else when he starts kindergarten next month!). Wow - what a fun addition this would be to our house each month! Thanks for the chance to win Bern! I'd like to win this for my two kiddos. My son is 4 1/2, and my daughter is 3. They love art, science, and making things with their own hands. I would love to win this for my 3 kiddos. I think it would be a great addition to our homeschool curriculum. That looks like a fun activity kit! I would love to wim this for my two boys. Super cool! Such a bummer that the littlest diva's sun dial was ruined. These summer rainstorms can come out of nowhere! I would love to try this. I'm nervous about the $20/mos commitment, but a trial box might change my mind! My kids would love the projects shown in this box. The rocket launcher will be a definite hit anywhere.All the 3 kits are so cool. I would love to win this for my two kiddos! I think I need a subscription. My boys would love this. I have thought about a craft subscription but always think they are things I have at home but never do. maybe winning this would get me to sign-up. 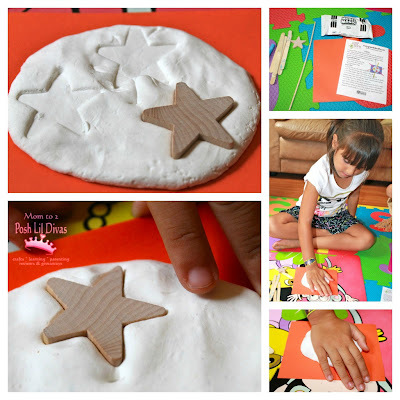 My kids love crafts and would love this! Love the stuff...what more could you ask for than science crafts???? My son would love these rocket launchers and anything else fun that is crafty! We just started homeschooling and this would be great! I think I would send this to my niece in Washington!